Spinney's is opening a new branch. In "sid el bauchrieh" - in Arabic, phonetically, "sid" (dam) and "sit" (lady) are very close. 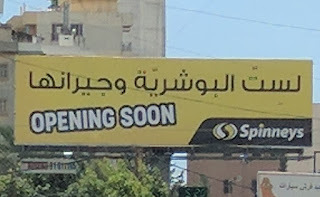 So what best to announce this than with "for sit el Bauchrieh and her neighbors"? The ability to come up with easy, non-forced ads never ceases to amaze me. 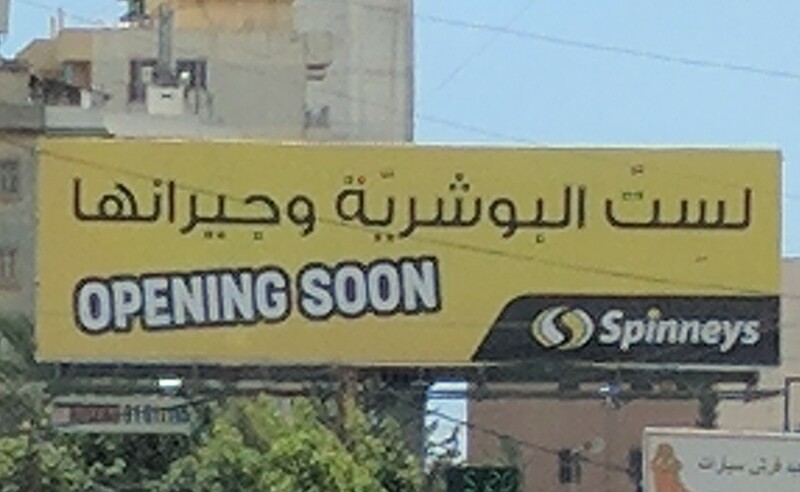 If Spinney's signs with "value you can trust", then their ad agency Rizk Group is doing splendid work they can trust!